Home / Blog / What is SEO? In your search for ways to promote your website and increase your business, you have probably heard of SEO. Although it is a popular term and a very common method for advertising, however, you might still be a bit unsure of what it is. Search engine optimization is critical in today’s world if you want to advertise your website in the best way possible, so consider this guide for search engine optimization so that you can implement it for your own business. SEO is short for search engine optimization. Basically, search engine optimization refers to optimizing your website so that search engines like Google and Yahoo! can easily find your site and rank it higher on the search engine rankings. Then, people can find your site more easily and will find your links and positive information about you and your company when they enter keywords related to your site on their favorite search engines. Search engine optimization is done using a combination of different techniques and methods. 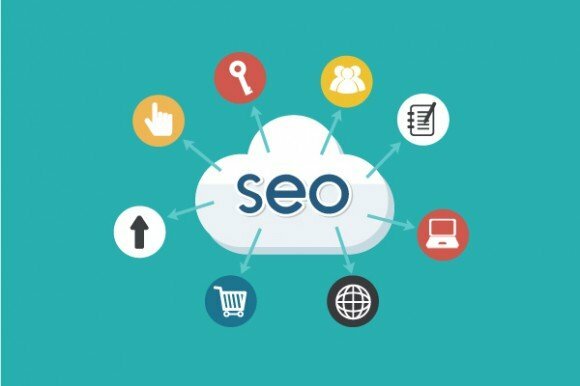 SEO marketers create backlinks, use certain keywords and use other techniques to make your site appear at the top of the rankings. Search engine optimization is critical because the world — and the way that people look for things — has changed. Although word of mouth and other types of advertising are still important, more and more people are starting to look for their own answers via their cell phones, tablets and computers. Countless people are getting online nowadays and looking for products, services and information, and a lot of these people use search engines. By ranking high on the search engines, you can bring in a lot more traffic for your website. No matter what niche your site might be in or what you have to offer, you can surely benefit from bringing in more well-targeted search engine traffic. Plus, you can make sure that your site has a good reputation, and you can make it easier for even your loyal fans and followers to find you and to find information about your business. Overall, SEO is a positive thing for basically any website on the Internet, regardless of if it’s used to sell ads, sell products or services or just to promote local businesses. As you can see, SEO has a lot of benefits. Learning how to do it on your own can take a lot of time and practice, however, so you might find that it’s a far better option to hire a professional SEO company to do it for you. Rise Digital offers outstanding SEO services in Toronto that can help you rank your site high on the search engines, and you won’t have to do any of the work yourself or worry about making any mistakes. Plus, these companies can also help you bring in more traffic in other ways. For help with search engine optimization and all sorts of online advertising, it’s a great idea to contact an SEO firm right away. Why is Google SEO Optimization so Important? Copyright © 2018 Rise Digital Toronto SEO Company.